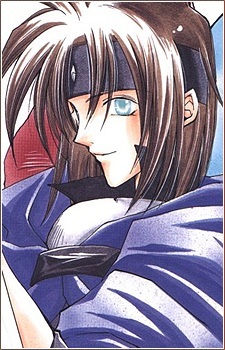 Ashton Anchors is the unlucky swordsman who meets with Claude and the gang while attempting to slay two demon dragons. Because the cave is narrow, Ashton insists of fighting alone, but trips as soon as he begins. There is a flash of light, and suddenly the two dragons Ashton was fighting have fused to his back. Because of the dragons being pure-bred demons, they often "fully-posess" Ashton, using his body to talk to the other party members. Ashton has an unhealthy obsession with barrels, knowing the entire history of a barrel and where it was made just by rubbing and smelling it. His main weapons in battle are two small dueling swords, which he is somewhat proficient at, though he's almost always outshined by Claude during a fight. Has a one-sided affection for Precis. During battle, Ashton is always scared of the monsters he fights, which always makes for comedy relief, though he tries to downplay it afterwards by faking bravery and tactics in front of his friends.